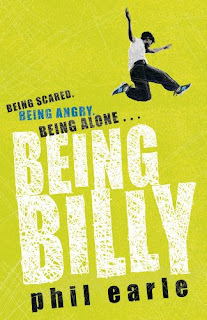 I really enjoyed this moving and poignant tale about Billy an angry young man who has spent a lifetime living in care. I liked this book because I thought it gave real insight into what life is like for children like Billy and highlights an issue that many people do not give a second though to. It showed how simply the effect of being in care can affect every aspects of a childs life even affecting their future aspirations and acheivements. I found Billy as character really fascinating. He had this really tough front which he had built up from years of being in care and thinking no one wanted him but underneath it all he was really kind and loving towards his younger siblings and was deeply affected by all the rejection he had been through despite appearing to shrug it off. Being inside Billy's head throughout the enite book was an interesting choice of narration as it meant the story was quite unpredictable and subject to the differing moods Billy was in. I loved the relationship Billy built up with Daisy another young girl who he recognised to be the same as him. I also liked seeing how Billy was with Ronnie his key worker and seeing how that changed over the course of the novel. The final outcome of the story was really moving and very sad. The twists were unexpected and engaging. All in all a fantastic book which highlighted for me the issues surrounding children in the care system. An emotional rollercoaster of a ride and definately one I would recommend. A huge thanks to Phil himself for sending me his book for review. YAY, I really loved this one as well, especially Billy's relationship with the twins and with Ronnie. I got this one for review too. It's not my usual kind of book, but I'm kind of intrigued all the same!